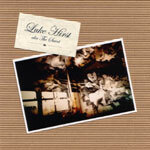 Luke Hirst or The Saint as he is sometimes known (taken from his birthplace at Saint Luke's Hospital rather than the TV series), writes songs of beauty, gracefulness and maturity that you will be surprised to hear the lad is only 16 gigging around Yorkshire. A cut above ordinary singer/songwriters, BBC Online has already praised him for his self-released Fence Thief EP. This EP is a collection of studio tracks and recordings from the past year. He's willing to try out different styles with his songs. The studio side consisting of 'Changing Lanes' and 'Amber' was recorded with the help of Carl Stipetic at In A City Studios of Bradford. Luke has taken his rough home recordings from his 'Fence Thief' EP and polished them into gems. Subtle instrument arrangement, strong vocals, 'Changing Lanes' can easily take on the Grays and Rices. 'Amber' is a song that Luke describes as 'taking the biscuit' but there is a sadness and serious side to it. On the B side we have another Luke. The recordings away from a studio are actually stronger in emotion and the side I prefer. The live recording of 'The Way Home' is bare which enhances the impact of the song. Very simple but effective in promoting Luke's aim of writing great songs that work live. An alternative version of 'The Woodmen'is a story of being on the run. A home recording that takes us on a journey, it's dark undertones and a superior judgement in backing arrangement makes it a treat to end the EP with. Sold out. Check out Norman Records for any copies.